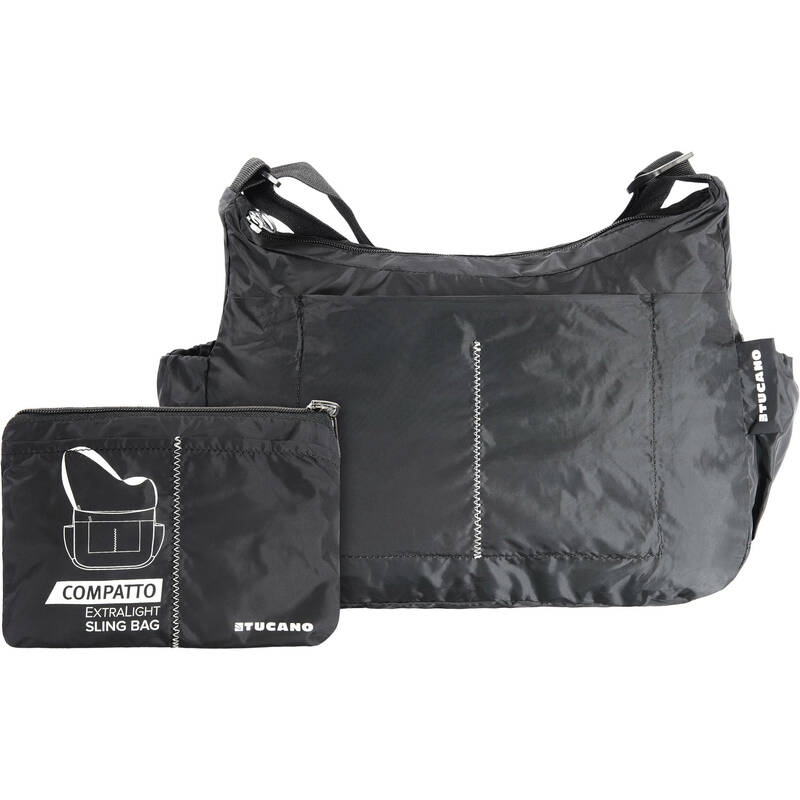 Super-light and extremely strong, Compatto XL Sing is a practical shoulder bag with a fresh and modern look. It is always ready to be transformed from a small pouch into a shoulder bag with a simple action, and resolves all your space and carrying problems. The water-resistant treated nylon means that Compatto XL Sling is the best choice to carry and protect all your purchases (both planned and unplanned) in both good and bad weather. Box Dimensions (LxWxH) 6.6 x 5.7 x 1.6"